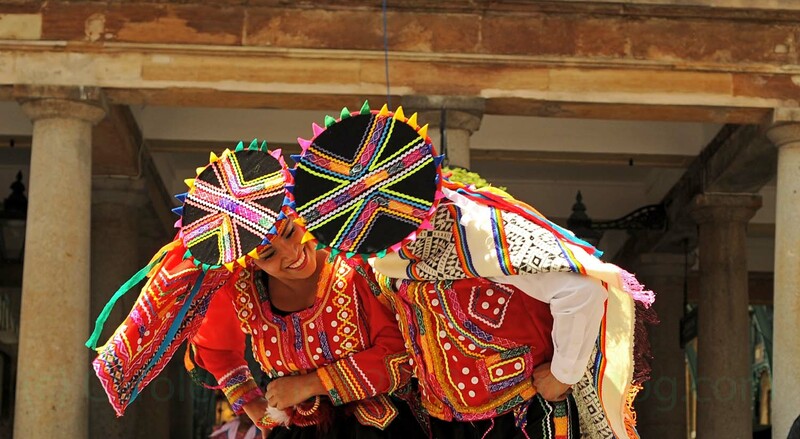 Part of a promotion arranged by Peru Tourism today, these two are dancing Festejos. This is an Afro-Peruvian dance from the coast and in it dancers are allowed quite a lot of leeway for improvisation, provided they follow the cajon (box drum) beat. The promotion also had a scale model of Machu Picchu in Lego, Ben Fogle (who I interviewed for something else) and was giving away 13,000 bars of Willies Cacao Chocolate which some may recognise from Channel 4’s Willie’s Wonky Chocolate Factory.